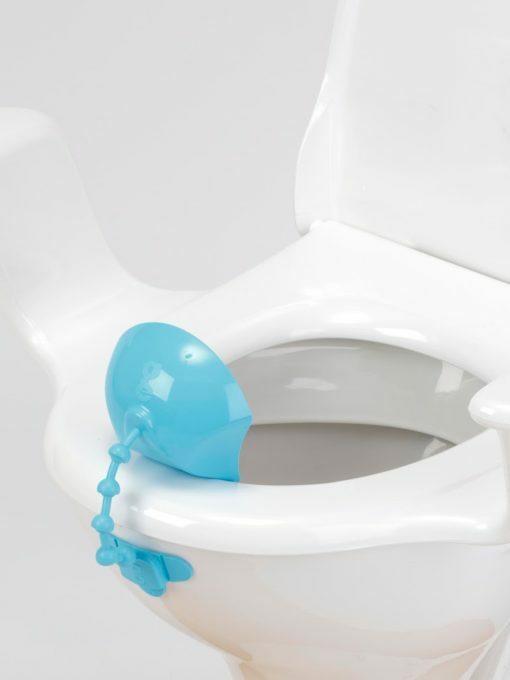 Prevents spills and splashes, use on any toilet or raised toilet seat flexible and safe the soft plastic cup deflects urine into the toilet. This common problem with men and boys who sit to urinate is now easily resolved. The mounting bracket is fixed to the toilet with an adhesive pad, or to a raised toilet seat or commode chair with hidden screws. The deflecting cup slides easily on and off the bracket allowing for easy removal for cleaning. Flexible links allow the cup to be positioned and it comes with extra links for more versatility.